It's Potty Time! 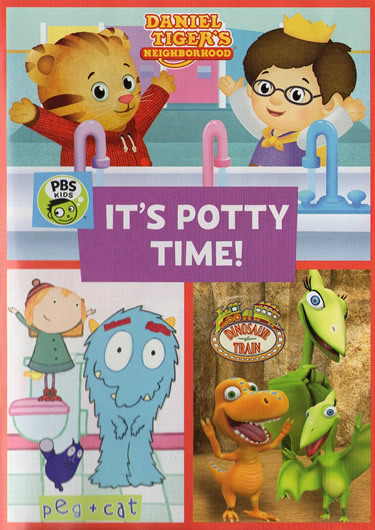 Tackle potty training with some of your favorite PBS KIDS friends. 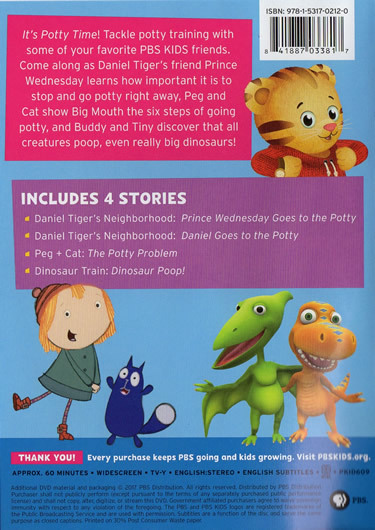 Come along as Daniel Tiger's friend Prince Wednesday learns how important it is to stop and go potty right away, Peg and Cat show Big Mouth the six steps of going potty, and Buddy and Tiny discover that all creatures poop, even really big dinosaurs!